Edoardo Lanfranchi in Editor's Picks World Affairs on 30 November, 2016. The constitutional tragicomedy that has been entertaining Italy and Europe the last few months is finally moving towards its final act. On 4 December, Italians will be asked to vote on a constitutional reform proposed by the country’s 41-year-old Prime Minister Matteo Renzi, with the eyes of the rest of the world following them to the ballot boxes. Polls suggest that a majority of Italians will vote against the reform, and many seem to consider the event of a ‘no’ vote the third and final domino in the global resurgence this year of anti-establishment populism after Britain’s vote to leave the EU and the election of Donald Trump in the US. 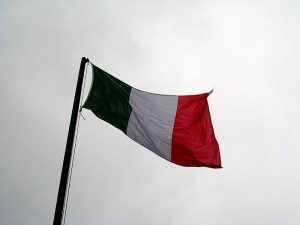 However, the series of events that led to the current situation is more complicated than it would appear, and, whatever the result may be this Sunday, the consequences of the referendum campaign will only further bring instability and disharmony to Italy’s already bitter political landscape. 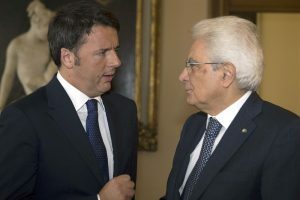 Renzi’s constitutional reform, already discussed in and approved by parliament, seeks to solve some of Italy’s oldest and most urgent problems, including the institutional paralysis that has often led to inertia in discussing structural reforms, the inefficiency of the balance of powers in Italian institutions, and most importantly the weakness of Italian governments. Indeed, since the Republican Constitution was introduced in 1946 Italy has had more than 60 different governments, and this has long forced policymakers to sail by sight. The central point of this reform is to abolish what has been called the perfect bicameralism of the Italian parliament. After the fall of fascism in 1945, Italy’s new democratically elected parliament established a rigid system of institutional counterweights which limited the action of governments in order to prevent authoritarian drifts. They did this by giving identical powers to the two chambers – the Senate and the Chamber of Deputies – and every Italian government had to gain the support of both chambers in order to govern. A law could not be ratified until it had the agreement of both houses of parliament. Mister Renzi’s reform aims to change this system were two-fold – only the Chamber of Deputies would be able to withdraw its support for the government and therefore trigger an election, and at the same time turning the Senate into a smaller assembly that would only vote on fundamental and constitutional laws or on laws regarding the relations between the central state and local administrations. The new Senators would not be directly elected, but instead chosen amongst members of Italy’s ‘regional councils’ – essentially the parliaments of Italy’s 20 regions – and city mayors, thus representing local authorities at the central state. Renzi’s supporters call this a federal Senate, and claim that it will give local authorities an active role in central decisions, especially because the reform arguably deprives some of the regions’ competences (such as energy, foreign commerce, scientific research, infrastructures) and assigns them to the central state. 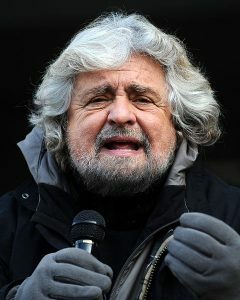 His opponents, on the other hand, denounce the centralisation of certain powers, criticise the fact that the new Senate would not be directly elected, point out that regional councils are some of Italy’s most corrupt institutions, and argue that the proposed reform would give some regional policymakers the chance to escape prosecution by becoming MPs. Furthermore, some experts argue that the new Constitution will give more powers to the central government without actually solving the problems it seeks to tackle. For example, Italy’s former head of the Constitutional Court Valerio Onida, argues that what Italy needs are fewer and better-written laws, approved by a responsible and united majority in parliament, rather than more laws which are easier to get approved (Germany and France, he argues, approve roughly the same number of laws as Italy). According to Justice Onida, then, the true problem comes down to political and legislative instability, not to the institutional setup of the Italian state. As a matter of fact, this reform alone will not provide Italy with the political stability that, according to most Italian and European politicians, it desperately needs. 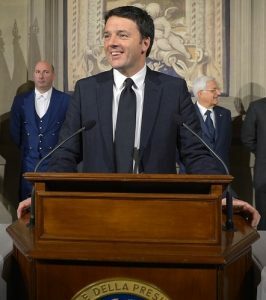 Renzi has also introduced a crucial electoral reform that will seek to give one winning party an absolute majority in the Chamber of Deputies (since the Senate, if the reform passes, will not control the government anymore), thanks to the introduction of a two-round system. This ‘Italicum’-system, as the PM himself named the new law, raises some serious concerns. Firstly, although it seems to be an organic part of the government’s institutional reform, the electoral reform does not change the Constitution and is therefore not being voted on in Sunday’s referendum. Secondly, there have been concerns about the fact that the Italicum-system will allow future governments increased powers. Moreover, some concerns have been raised in Renzi’s own Democratic Party, as it seems that a two-round system could favour the Five Star Movement, an increasingly popular anti-establishment party that recently won control of the city councils of Rome and Turin, beating Renzi’s Democratic candidates. There have been claims that after the referendum the Democrats might modify the new law, but the content of these modifications remains unclear. Worldwide concern about the referendum is mostly related to the fear of Italian political instability in the case of a ‘No’ result. As the EU is torn by deep political crises, many think Renzi to be the only trustworthy leader in the country, and are nervous at the possibility of a Five Star Movement-led government. This rather technical vote has been turned into a vote ‘for’ or ‘against’ Renzi himself, and this is mostly his own fault. Earlier this year Renzi promised that he would resign in the event of a ‘No’ victory, and as a result the vote was turned into a vote on him and his mandate. For the duration of the campaign, the debate has been of low quality on both sides. The opponents of the revised Constitution denounced an ‘authoritarian drift’ in Renzi himself, and exploited a general dissent regarding the traditional political establishment for their own political gains, often using populist propaganda to support their claims. 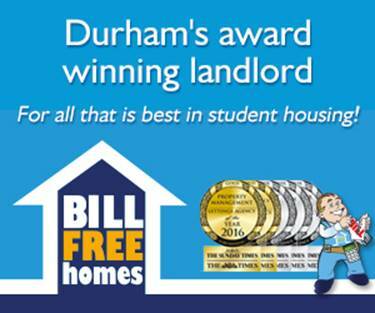 The government, on the other side, insisted this was the long-awaited opportunity to change an inefficient system. 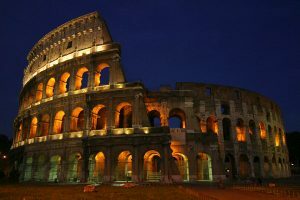 Some journalists and politicians on both sides did try to turn the general populist rhetoric into a debate on ‘what kind of Italy we want’, but they failed: most Italians don’t seem to be interested in vague ideas of reform anymore, and they appear to have lost the little trust they had left in traditional politics. Yet again, Italian politics has shown its most demagogical and irresponsible features. So what is there to expect from Sunday’s vote? Does the likelihood of a negative result for Renzi mean that Italy will soon slip into political chaos, possibly dragging the EU down with it as well? It surely would mean the end of Renzi’s political career, as his opponents will remind him of his pre-electoral promises and urge him to resign. But perhaps this could be turned into a new opportunity for the now quite unpopular Democratic Party – a new PM could be chosen within the party without the need of new national elections, and with a renewed and possibly charismatic lead the government could attempt to carry out long-needed reforms with a different approach. However, new elections are equally possible, and their potential results are unpredictable, especially since the new ‘Italicum’-system only applies to the Chamber of Deputies, and the (still equally powerful) Senate would be elected with the old proportional system of representation. Italian President Sergio Mattarella would probably play a decisive role in such a situation. If the ‘yes’ prevails, however, Renzi will be expected to stabilise his position, yet even in that case it’s hard to predict Italy’s political future. This is ultimately a situation of uncertainty and squalor, and if Italy fails to pull itself out of it in either way with a new forward-looking political project, the consequences might affect the rest of Europe dramatically. With the upcoming French and German elections, the dawn of a Trump presidency and the ascent of a new era of populist leaderships, concerns about the future seem more than justified. And this is true not only in the event of a triumphant ‘no’ vote.